In this first detailed study of seventeenth-century sepolcri—sacred operas written for court performance on Holy Thursday and Good Friday—Robert L. Kendrick delves into the political and artistic world of Habsburg Vienna, in which music and ritual combined on the stage to produce a thoroughly original art form based on devotion to Christ’s Tomb. Through the use of allegorical characters, the musical dramas ranged from the devotionally intense, to the theologically complex, to the ugly anti-Jewish, but played a unique role in making Passion piety relevant to wider cultural concerns. 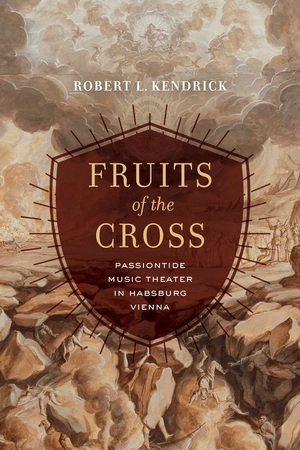 Fruits of the Cross suggests that understanding the sepolcri has implications for the theatricalization of devotion, the power of allegory, the role of queenship in court ideology, the interplay between visuality and music, and not least the intellectual centrality of music theater to court self-understanding. Robert L. Kendrick teaches music history and ethnomusicology at the University of Chicago.